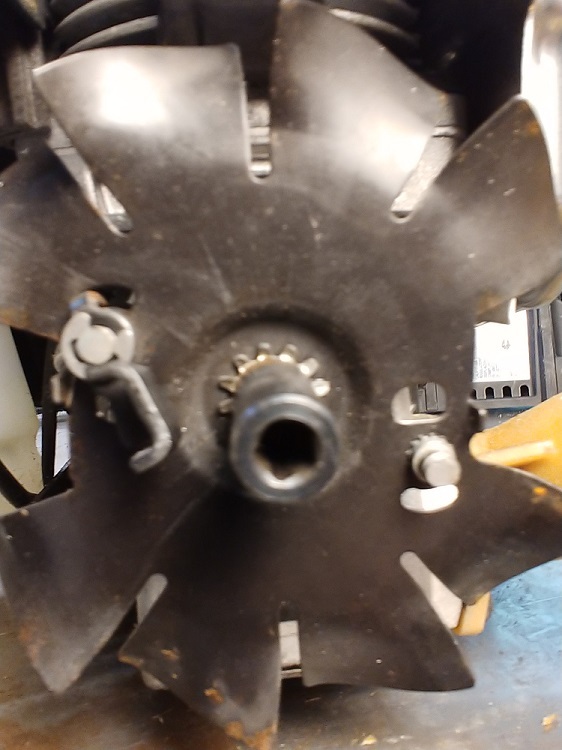 I got a Troy Bilt 6044XP 4 cycle weed trimmer in the shop and one of the plastic starter pawls is missing. Other than that, it starts with my drill attachment and runs well. The 753-08159 pawl kit does NOT fit since this one has a metal most the pawl slips over. I'm enclosing a picture. Has anyone ran into this before and if so, what part number am I looking for? Was chatting with Troy Bilt yesterday and that guy didn't even know what I was after. Can't say we ever messed with one yet. Wonder how it fell out? Guess I'll just lug my drill with starter attachment around when I use this machine.